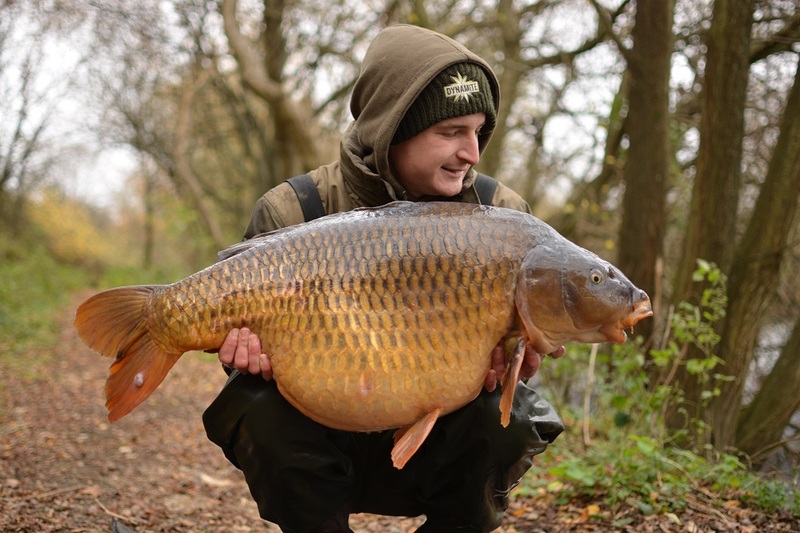 Want to improve your catch rate when fishing for carp in winter? 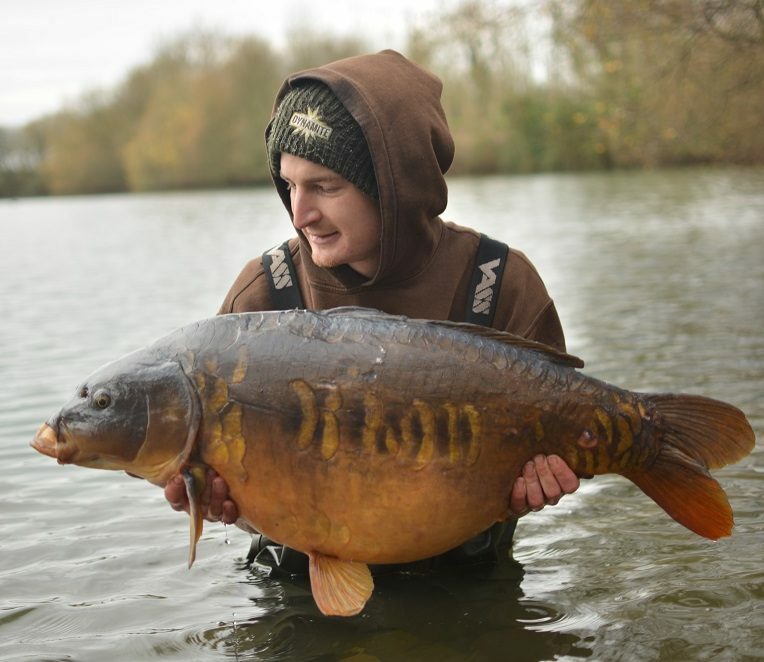 Ross Ryder reveals his tips on catching carp in the cold including locating the fish, rigs and how to feed…. Winter time can be the toughest time of the year to get carp on the bank, as we all know carp are a cold blooded species meaning when the water temperatures drop their body temperatures drop with them. This slows down their metabolism and willingness to feed making them much more dormant and in turn tougher to catch. With all this in mind as always location is the most vital key to getting more winter carp on the bank especially with the under water structure also changing so drastically with the warm oxygenated weed dying off and leaves covering the lake bed. As the lake temperatures decrease this warmer parts of the lake tend to be the deeper areas, this is because it is our atmosphere cooling the water and not the ground temperature just like in the summer when the sun comes out the upper layers are the first to warm, so deep bays and holes are generally a good place to start. Don’t get wrong carp can still turn up anywhere on the lake due to other climate and air pressure factors and often the discovery the odd remaining natural food source that has managed to escape the brisk winter. Choosing the right lake to begin with is also a major player, there are lakes in my local area that just do not seem to produce a bite for long periods of time during the winter and some that actually fish better in the colder months than other times of the year, so always make sure your homework is done on choosing the right venue to target. Once confident of your location the bait approach for me is the next important factor on the list, the natural food sources will either be extremely low or none existent, with that in mind maggots are the thing to go in the mix and most certainly used as hook baits it’s what is paired with them and the sheer amount that can prove to be success or disastrous. Personally I like to start with a small amount of hemp, usually 50/50 with the quantity of maggots for example 1 pint of hemp per pint of maggot. Next is any liquid/oils, now be careful when choosing your oils as most are not effective this time of year, a small amount of the finest winterized oil is all you need something like Dynamite Baits Monster Tigernut oil which is naturally thin, winterized hemp or salmon oil works well too including the new Dynamite Evolution Oils. Groundbait comes next, this is great because its already broken down meaning all the attractants begin to leech out immediately once in the water, it also soaks up any juices from the hemp and oils meaning they also disperse right away hopefully enticing the carp more into feeding. My groundbait of choice is Dynamite Baits SwimStim Amino Black, because I like the contrast with red maggots, for some reason I have always only used red maggots, the reason I do not know I just like the look of the mix with only red maggots and Amino because Amino acid is vital in all species diet, yes its in our food too it has massive digestive and health benefits. Strands of these molecules form the building blocks of protein, when protein is digested the body brakes it down into individual amino acids then reconstitutes them as needed, they influence mood, reduce stress and boost immunity so its only natural that carp react to it in a positive way. The fact its acid might sound strange but changing the ph level around your baited area can be a massive edge, the carp certainly enjoy it and find it inquisitive. The last thing that goes into my mix is a small amount of Dynamite Baits 10mm Robin Red boilies, I don’t like to use a lot of boilie this time of year, I want my bait approach to be easily digested and something that does not fill them up too quickly remember their metabolism is low and will become full much quicker. Boilies work well in winter but i like to fish maggots too. I tend to mostly use a simple blow back rig but instead of a standard hair loop I simply attach another rig ring 10mm from the rig ring sliding along the hooks shank. I do this to make it easier to attach my hook bait, this is done in two ways depending on which is being used. After tying the standard blowback with a loopless hair I cut a small piece of cork stick, turn it on its side and slide the baiting needle through at roughly a 45 degree angle starting in the middle of the cork stick and finishing towards one of the flat sides. I then thread bait floss through a size 12 drennan super specialist barbless hook and pull floss through the cork. The size 12 hook is used as just a simple way to attach the maggots without messing around threading them onto bait floss, it’s also much quicker. I then hook on 12 red maggots being careful not to burst any and pull the hook point into the cork before tying the other end of the floss onto the rig ring. From there you just simply tie to the baited rig ring on the tag end of the main rig with a simple double over hand knot, cut the tags down and blob with a lighter. Lastly I simply attach a no.1 sized split shot in between the two rig rings, this critically balances the rig so that the hook lays flat but the hook bait is left wafting. Ross’ rig with the No.1 shot to critically balance the rig which includes a piece of cork stick flossed to a size 12 hook to attach the maggots. In order to prevent the hook bait tangling and the maggots being snared by the hook during casting, I use a small PVA funnel web, I slide this down the hook link pulling the hook into the bag itself, this masks the hook in turn preventing any danger of the rig not presenting. The pva funnel web consists of only Amino Black Ground Bait and a small amount of amino liquid binding the ground bait together making it more suitable to with stand a cast and entering the water along adding an extra boost around the hook bait. The other rig I like to use is a strange combination of the hinged stiff rig and the reverse combi rig, this is for when there is a small amount of debris on the bottom therefore I want to raise the hook bait of the bottom slightly. 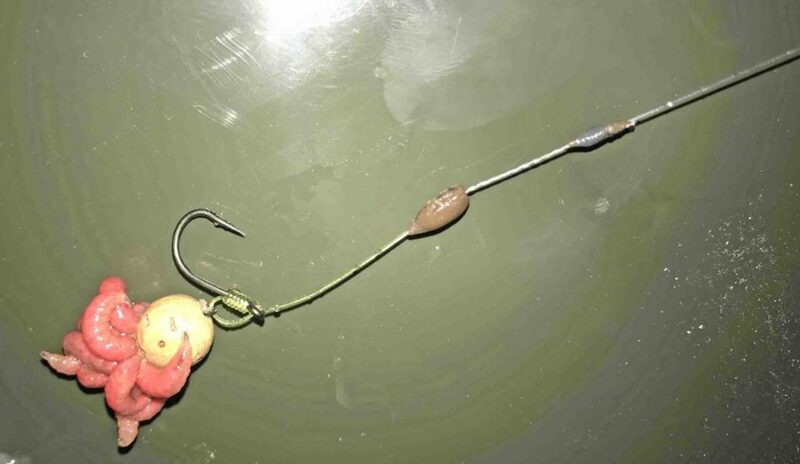 This is tied in a bizarre manor but it is a way I’ve tried and tested myself and usually raises a few unsure eyebrows when seen by others on the bank, nevertheless I use it year round with various different popped up hook baits and from the first moment it was used it has proved devastating and produced carp in the uk for me to over 50lb. In fact the first time I cast one out less than hour later I banked a 40lb plus mirror. It starts with a usual Chod section tied with a stiff chod filament, I then attach a small length of 20lb semi stiff braided hooklink with the coating stripped off via an albright knot. Leave a 20mm to 25mm gap and attach a 15lb flourocarbon boom section again via an albright knot. I then attach my balancing putty over the first albright knot and then attach a tiny bit putty over the second albright knot just enough to cover the knot ever so slightly. This is finished off with a figure of eight loop knot, tungsten anti tangle sleeve and a small piece of putty half way down the boom to help kick the rig away from the lead. The hook bait for this rig is very much the same as before expect i use a plain 10mm corkball instead of a piece of cork stick, still threading the baiting needle through at an angle starting from the middle which allows for the gape of the barbless hook to sit evenly across the cork meaning the maggots will always sit upright.